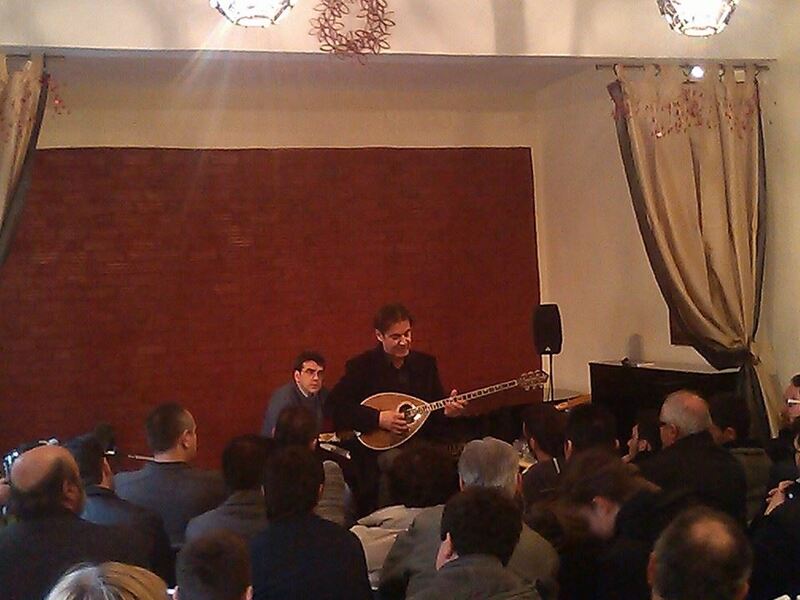 Vangelis Trigas is a highly qualified bouzouki tutor. 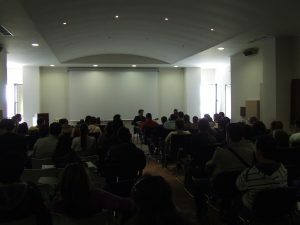 He has made a long and deep research on bouzouki in order to form an integrated technique which has concluded to a complete and well established study method. 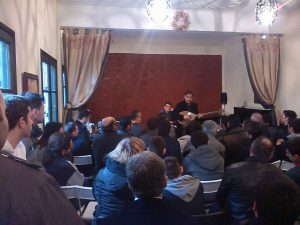 This method is organized in the way all methods of classical instruments are and includes all the particular elements that identify a folk instrument like bouzouki . He uses international music notation (staves) and according to him that is an inseparable element for an integrated study method. It helps students to approach music in a different, more essential way and especially in this case bouzouki. 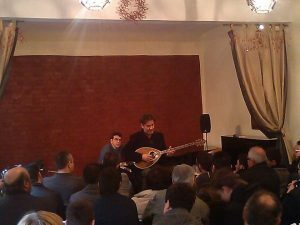 Apart from the deep theoretical and technical knowledge the students gain through his lessons, Vangelis Trigas also aims to promote the classical and pure sound of bouzouki. Vangelis Trigas gives private lessons on three-string and four-string bouzouki for all levels (beginners-intermediate, high level). 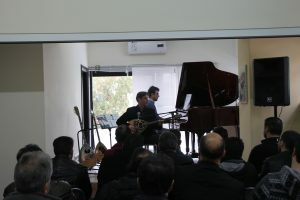 The students follow a special course of study, adjusted to each case and the course is included in the 5 issue Method for three-string and four- string bouzouki. 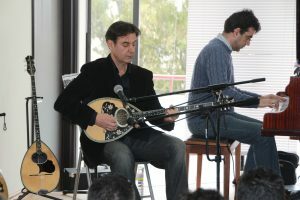 Since 2000 Vangelis Trigas started giving bouzouki seminars in Greece and abroad in order to spread his knowledge and the basic techniques that players are not familiar with regarding the traditional or folk instruments, in this case, bouzouki. 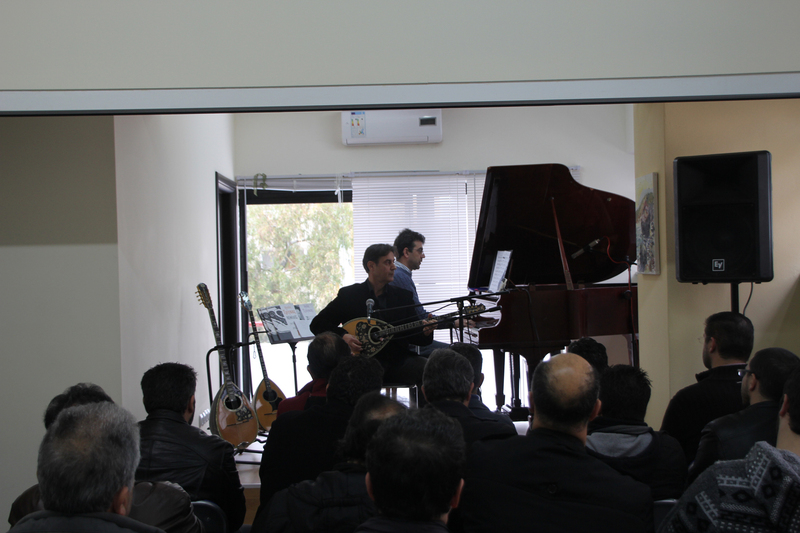 During the seminars, Vangelis Trigas plays characteristic instrumentals of each period, accompanied by a piano. The seminars that are addressed to bouzouki teachers focus on the most suitable and effective study course. Vangelis Trigas has included his course of study in the five -issue Methods for three-string and four-string bouzouki. In the seminars, apart from the remarks that are related to the course of study, special attention is paid to the teaching method in order for the students to have the maximum result and to gain steady and fast knowledge.